Most of us know earthquakes are coming, but just don't know where or when. Traditional methods of predicting earthquakes have largely been inefficient, as is evident from the many lives and properties that have been lost over the last century, and most recently in Nepal. Statistics show that more than 13,000 people are killed every year on average due to earthquakes, and more than five million people suffer every year due to loss of property and livelihood. Along with this personal loss, earthquakes cost the global economy $12 billion a year in economic losses. How easy would it be if scientists can predict earthquakes with greater accuracy so that people in a particular region can be prepared for it? Though scientists have been able to predict to some extent, it has not helped to save lives or property. The recent earthquake in Nepal that claimed more than 8,000 lives is a testimony to the fury of an earthquake and the lack of preparedness of its people to handle such a natural disaster. To prevent such catastrophic losses, it is important to harness the power of emerging technologies and big data to predict the time and location of earthquakes with greater accuracy. Big data makes it easier than ever before to collect information about a range of different events that point to the likelihood of the occurrence of an earthquake. Nature is always giving cues about the occurrence of events, and it is simply up to us to tune in to these cues so that we can act accordingly. Since these cues are widespread, it is best to use big data to collectively bring in this data to a central location so that analysis and the resulting predictions are more accurate. Some common information that can be tracked by big data is the movement of animals and the atmospheric conditions preceding earthquakes. A case in point is the Haicheng earthquake that occurred in eastern China on February 4, 1975. Just prior to this earthquake, the temperatures were high and the pressure was abnormal. Many snakes and rodents also emerged from the ground as a warning sign. With this information, the State Seismological Bureau (SSB) was able to predict an earthquake that helped to save many lives. However, this prediction was issued on the day when the earthquake occurred, so it did cause heavy loss of property. Had this earthquake been predicted a few days earlier, it could have been possible to completely evacuate the affected cities, and this is exactly where big data fits in. When factors related to earthquakes are monitored and analyzed constantly with big data, even the smallest changes can send warning signals as big data has the capability to capture it with greater precision. Already, some companies like Terra Seismic are working on using big data to predict earthquakes. They claim to predict earthquakes with 90 percent accuracy using satellite data and other cues from nature. For example, they had predicted the occurrence of a 6.5 magnitude earthquake in Sumatra on February 22 of this year. 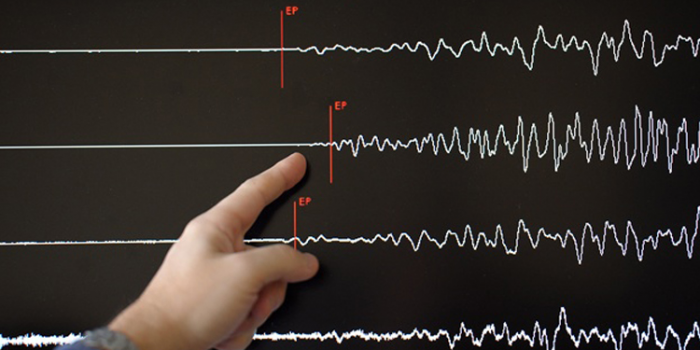 On March 3, an earthquake occurred in Sumatra that measured 6.4 of the Richter scale. Other than Terra Seismic, many other organizations are also collecting pertinent data to predict earthquakes. When all of this data is run through big data analytics, there is a greater probability for more accurate prediction. It is hoped that more companies and governments embrace big data analytics as a part of their earthquake prediction and recovery programs.